Crema cafe in Harvard Square is closing before the end of the year. Crema Cafe, a Harvard Square fixture for the past ten years, will shutter its doors around Dec. 17, its owners have announced. The Cafe will be replaced by Bluestone Lane — an Australian coffee chain with locations in New York, California, Washington D.C., and Philadelphia — which has acquired the lease on Crema’s current space at 27 Brattle St.
Crema co-owner Liza Shirazi will open a new cafe in Davis Square called Revival Cafe, which she said will feature familiar menu options and staff. Asana Partners, a real estate investment firm that bought property on Brattle Street last year, including Crema’s storefront, decided to not renew Crema’s lease. “We were notified that they were moving forward with another party,” Shirazi said. Shirazi’s business partner Thomas J. Brush, who also owns Felipe’s Taqueria and Flat Patties, said Asana did not renew its lease with Crema due to declining returns at the cafe. Crema’s impending closure comes at a time when property values in the Square are skyrocketing and local businesses have started to feel pressure from increased rents and competition from big business. The rapid change in Harvard Square has sparked concerns among business owners and residents alike. Caroline A. James, a member of the Harvard Square Neighborhood Association, said she is deeply concerned about the rising rents. Assessed property values in Harvard Square nearly doubled between fiscal years 2012 and 2017, an explosive growth that has contributed to rising rents and high turnover among Square businesses. Denise A. Jillson, executive director of the Harvard Square Business Association, presented a more positive outlook. 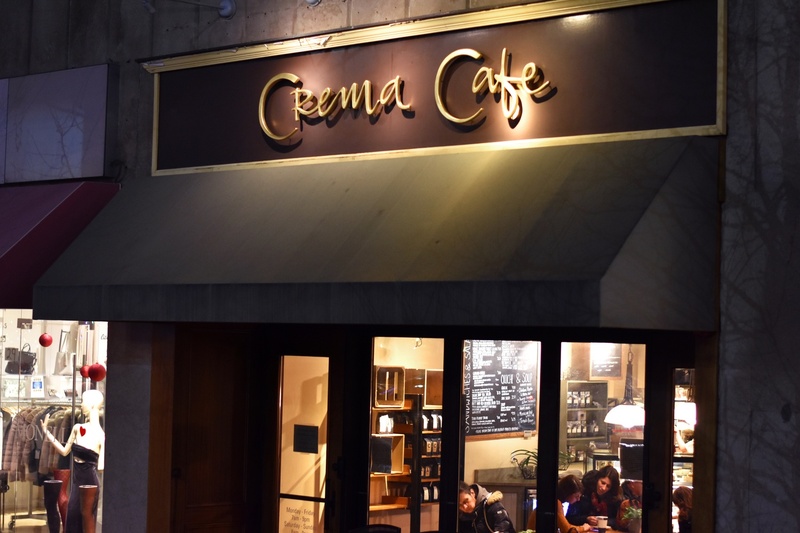 Students who frequent Crema praised the cafe’s authenticity and connection to the community. “I like that it has more of a Cambridge feel than Tatte or Blue Bottle, which are bigger Boston or New York chains. So it feels very much authentic and [has] a homey vibe,” Mckinley C. Lovett ’20 said. Sheridan N. Marsh ’20, who said Crema is her favorite cafe in the Square, lamented the trend of small business closures. “I liked having stuff that was unique to Harvard Square and having local businesses where you would know who the owner is and all that kind of stuff,” she said. OurHarvardSquare, a group of Cambridge residents who are committed to the preservation of Harvard Square, created a last-ditch petition to save Crema. “It was my favorite cafe, I go there way too much and it would be a shame if we lost Crema, so we started the petition,” said Caroline James, who is also a member of OurHarvardSquare. Reflecting on her time at Crema and its impending closure, Shirazi said she wanted to thank the community.